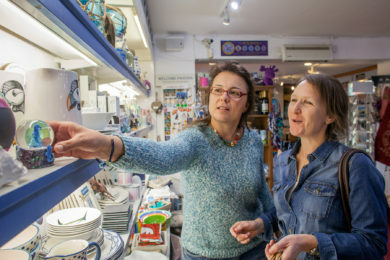 Our Gift Shop is stuffed to the gills with all kinds of treats and toys from simply silly to educational, plus books, jewellery and local foods for the grown ups! Don't forget you can also visit the shop without visiting the aquarium - just make your way round the outside of the building and follow the signs. You can also choose you own pearl oyster and have the pearl valued and set in jewellery! Click here for more information on our pearls. For enquiries please email retail@angleseyseazoo.co.uk or call 01248 431 915.